Memoirs bring light into the world. The Gift of Memoir offers inspiration and concrete assistance in writing the story of your life, or a slice of it. From over fifteen years of teaching memoir writing, as well as recording oral histories, I have witnessed that everyone has valuable stories to write down, and preserve in a form bound to last … and even outlast the writer. I read many memoirs in preparation for this book! They are listed in the extensive bibliography. Enlightening reading, every one. 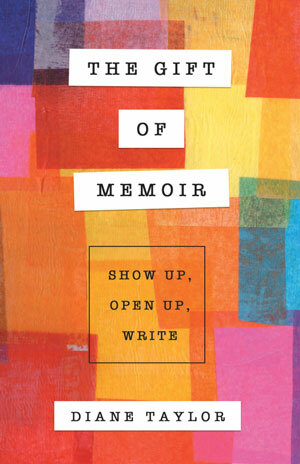 Those who write memoirs are offering an invaluable gift to family and/or the world. Those who read them are enlightened by another’s experiences. This book is my gift to those who are looking for guidance writing their stories. It’s my hope it will help them leave legacies for children and grandchildren and even generations as yet unborn. Personal stories enable readers to enter another’s world. This increases understanding and empathy, which helps topple barricades of racism, zenophobia and all the other phobias. Memoirs can give a sense of belonging, of history, of shelter. To write about your life is to immerse yourself in love. Love for life—even the losses, love for language and love for the literary form that makes sense of it all. And because love is healing, memoirs can be healing. Story by story, memoirs change people, change the world. Go forth and bring light into the world!